It’s my third Liebster Award nomination, and I am now wondering how long I will still be eligible for this. Alwaysopinionatedgirl, who nominated me, already has 35 followers! And she started her blog in June! Can anyone give me advice on how to publicize my blog? Thanks. 1. Link and thank the blogger who nominated you. 3. Tag 11 (or so) other bloggers who have 200 followers or less. 4. Ask the 11 bloggers 11 questions and let them know you nominated them! 1. Which fictional character are you most like? 2. Which fandoms are you in? I’m a Ravenclaw, Erudite, Shadowhunter, daughter of Athena, and a fan of TFIOS, If I Stay, and am NOT a tribute. Cuz I really don’t like the Hunger Games. 3. What is your favourite book cover? I really love the If I Stay cover, Pandemonium and Requiem, too. 4. Which 5 books would you take with you to a desert island? TFIOS, Harry Potter and the Deathly Hallows, Alleigant, City of Heavenly Fire, and I Am Malala: The Girl Who Stood Up For Education and Was Shot By the Taliban. 5. What is your favourite children’s picture book? Many Moons by James Thurber. 6. What do you like most and like least about book blogging? I absolutely love sharing my thoughts and being myself. My blog is really the only place I am truly me. The most horrid thing would be me not having tons of followers when I started my blog in February 2014!!! 7. When was the last time you cried reading a book? During one TMI book, probably. 8. Which book are you most embarrassed to say you haven’t read? Eleanor and Park, and Fangirl. But I really want to!!! 9. Why and when did you decide to start your blog? 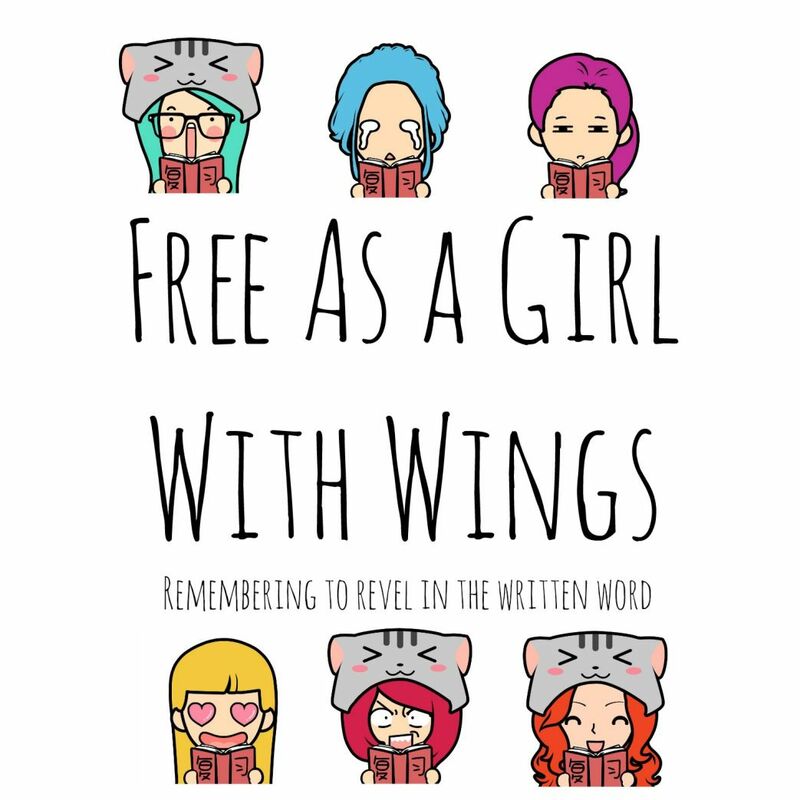 My inspiration for starting this blog was from Sam/antha, who then had a blog called Young Writers Café. I had stumbled upon it and, in short, loved it. So I decided to make my own! I also really wanted to publicize my WIP novel, which I upload to it. I remember just googling “make your own blog” and WordPress came up. It seemed pretty easy, so a few hours later, BAM!, blog. I emailed it to all my friends and told Sam about it. At dinner, when I told my parents, I was a little scared because I’m a minor and hadn’t checked with them first, but they were just like, “Oh, cool.” They hardly read it. I started it on February 2, 2014, I believe. 10. What are three things about you that not many people know? I can shake my eyeballs. Literally, shake them. Two, I have probably only finished about eight stories out of all the ones I started. And, three, I can hardly talk to any of my IRL friends about books. 11. What one book would you recommend I read? Assuming you’ve read the classics: Harry Potter, Percy Jackson, Heroes of Olympus, Divergent, and TFIOS, I’d say The Apothecary by Maile Meloy. It’s a really great book! And it has a sequel, The Apprentices. Sorry, I know, only five, but I can only find them! 1. Who is your best (or a few best) online buddy/ies? 2. If you had to dye your hair any unnatural color, what would it be? 4. How did you come up with the title for your blog? 6. If you could meet only one author and get their autograph, etc, who would it be and why? 7. Who is your hero and why? 8. What musical artist have you listened to for the longest? 9. Ebook or real book? Why? 10. What will you do on your next/first blogoversary? 11. What are your fandoms? If I didn’t nominate you and you’d still like to participate, comment below with your answers! The End of the School Year is Sneaking Up–Are You Ready? At the beginning of the school year, I always think, It’s going to be such a long year! And then, once it’s January, everyone starts counting down the months. By April, it’s weeks, and May is days. I can’t believe how fast this school year went by. Although I didn’t start this blog until February (I thought it was January, until I looked at my first post), I want to reflect on the year here, so all my lovely followers can glimpse into the window of my life. Get in your time machine, and go all the way back to the 6th of August–the first day of school. I was in a new class, new teacher, new classmates–and, as fate may have it, I wasn’t in the same class as my best friend. But I had other wonderful friends to be with me. The class was abuzz with energy, nerves, and hyper-activity. And there I was, in my little uniform and poufy hair, standing with my much shorter friends–see me? Now, fast-forward to the first dance. Scary, scary, scary! The boys asked the girls to dance, and the girls turned them down. What fun. I ate, talked, laughed, danced, and sang my heart out. Zoom into the future again to the end of October, when Leo and I started hanging out. That was the best thing, because I had lost my best friend and other close friends, and when I hung out with this small group of girls I felt so out of place. Finally, I had one person to connect with that didn’t already have a group. That’s when the new year began. Skip past November, December…stop. January, the new year! 2014! A fresh start. Get through January, February, March, April… April was when, I think, everyone started to really notice that, hey, we only have two months of school left. And now we’re back in the present, stepping out of our time machine, wiping the sweat off our forehead. What did I learn from this school year? A lot. I’ll tell you some. After all, I can’t give away all my secrets. Otherwise I’d have to kill you. Okay? Okay. Definitely, at the beginning of the year, I learned that sometimes you have to find new friends and learn to move on. And to not be too sad, because there are plenty of people in the world to meet. You have every right to be sad in the beginning, cry a little, but then find new people, people who want to be with you and enjoy your company. Because if you lose someone as a friend, then they aren’t worth your time trying to get them back. This year my classmates began using social media a lot more than last year. It was like, BOOM!, social media here to take over everything! I don’t have a phone. or Instagram. Or Kik. Or Facebook or Twitter. I use email. So, I didn’t always know everything that was going on. Which felt really, really bad. But one night, I was at another family’s house, and it was my good friend’s family. My friend (whom I shall now call anonymously Jane) and I went outside, and I remember she was on her phone, waiting for someone to text her back. I lay down on the slightly wet grass and just gazed up at the stars and moon. I said, “The moon’s pretty tonight,” and Jane didn’t even acknowledge that. She was waiting for a reply. From that experience, although I still want a phone, I realized that people use phones, computers, devices in general too much, and should stop to admire nature, because when the world was created, I doubt it knew that in billions of years, everyone would be on phones instead of looking at the sky and saying, “We live in such a beautiful place. We are so lucky.” I learned that everyone–me included–sometimes needs to slow down, put the phone away, and appreciate the Earth. Because we’re really messing it up, and maybe in fifty years, it won’t be the same. School wise, I learned more pre-algebra and algebra and how to write an essay and what happened in 500 BCE during the Greek time period and all that stuff. That stuff won’t stay in my mind as long as what I learned by myself about life in general. To conclude this post, I want to thank my outstanding teachers, loving friends, and supportive family that helped me survive yet another year. And to my wonderful and dedicated followers that listen (more like read) to my ranting, loving, hating, random thoughts, etc. weekly. You all mean so much to me and influenced me in life! So thank, thank you, thank you. Love y’all so much. You make my day, every day. So hugs, kisses, chocolate, and flowers for everyone! Cuz you all are special and unique and lovely and funny and smart and supportive…I could go on all day! Just to let you know, I’m taking a break from Nakoma–just for a little while. I learned in Bird by Bird that you should do other stuff if you’re stuck on one story. So I’m taking a break, maybe till the middle of June or so. I’ve been really stressed with school and life in general, and it’s a little hard to generate ideas when my brain’s overloaded with information, my heart has too many emotions to identify, and my body is limp and blah from sitting in classrooms and stuff. I hope you understand. I had a conversation, a real, fun, slightly serious one, with a girl in a long time. We talked about some serious stuff that’s happening with her family now and how scared and stressed she is, and I patted her back and said comforting words. Then we talked about rollercoasters and this amusement park and shared funny stories, and y’know, it was really fun. Because right then, everything was okay. I didn’t have to worry if I was saying the right thing or cover up awkward silences. And I didn’t have to think about what I would say next and after that–it just came beautifully naturally. I was calm and safe. And it felt good. Really, really good. So maybe not all girls are drama queens and emotion overloads. Maybe I can talk to them and have fun with them, too. Today definitely proved that. To wrap it all up, are you ready for school to end? Is everything finally okay? Or are you freaking out?